It takes patience and detective work to identify the self-care skills that challenge your child with special needs or a different learning style. Coming up with solutions on your own that work for your child can be time-consuming and frustrating. In my 20 years’ experience as an Occupational Therapist, I’ve seen the struggles that parents of children with a developmental disability face daily. There is an easier path. As a parent or caregiver, it’s natural to think of your child as being completely dependent. Yet as your child with different needs grows from infant to toddler, preschooler to school-age and then to teen and young adult, he/she needs to meet important self-care developmental milestones to become an independent person. Children actually begin the process of developing their self-care skills as young infants. Infants, toddlers and children learn self-care and living skills primarily from their parents, caregivers and siblings. As a parent or caregiver it is your job to encourage your special needs child to learn more about their abilities, to carry out their own self-care and to reduce their dependence upon you. Teaching these critical living skills requires a plan, patience, practice and more practice. It’s easier to teach some self-care skills than others. Children won’t spontaneously learn how to feed or dress themselves, use the toilet or wash their hands on their own. Self-care skills such as feeding, dressing and toileting need to be taught by parents and caregivers as soon as a child is developmentally ready. It’s much easier to teach a child to wash their hands than to learn to use the toilet, for example. 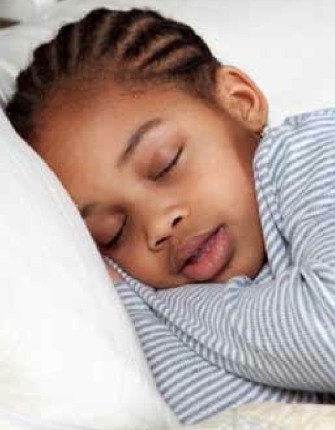 Infants, toddlers and children learn to settle themselves to sleep. They learn to dress and undress themselves. They learn to groom themselves by brushing their teeth, brushing their hair and washing their face and hands. Infants, toddlers and children learn to eat and to feed themselves. They learn how to bathe and shower and wash their hair. They learn how to use the toilet. When infants, toddlers and children begin to develop self-care skills depends on their developmental readiness. And their developmental readiness is a combination of being at the appropriate age and having the underlying individual abilities. The best advice? Children learn by doing. Do self-care WITH your child rather than FOR your child. Help your child develop self-care skills by giving them every opportunity to take on as much personal responsibility as possible! If you are struggling to teach your infant, toddler, preschooler, child or teen self-care skills or are worried about whether or not your child is at the appropriate age or has the abilities to learn self-care skills, my eBook The Best Ways to Teach Self-Care Skills can help. In The Best Ways to Teach Self-Care Skills , I share my experience and best practices based on 20 years’ working with parents and their children as an Occupational Therapist. Each of the chapters provides key insights and strategies to help you and your child overcome the challenges presented by teaching and learning the skills of daily living. You will also learn the best ways to build new routines that make your teaching much more effective. Imagine the stress relief you and your child will experience as you begin a new journey of learning and adopting these effective self-care strategies and solutions. It’s the next best thing to having an Occupational Therapist visit your home and provide personal advice.